It is early in the morning when Oliver Case and the soldiers of the 8th Connecticut receive the order to march north out of Washington, DC. General McClellan’s newly formed army is slow in leaving the capital city and once on the road, the 8th CVI is delayed until 10:00 am. Roads are crowded with the wagon trains of the Army of the Potomac and thousands of soldiers in hundreds of regiments. This Sunday is particularly hot and the sun is beating down on a march route is covered with a dust cloud that’s stifling the mass of soldiers. The 8th along with the other two regiments of Harland’s Brigade march a total of 10 miles for the day. A halt is called Leeboro, Maryland were the brigade will make camp and rest for two full days. 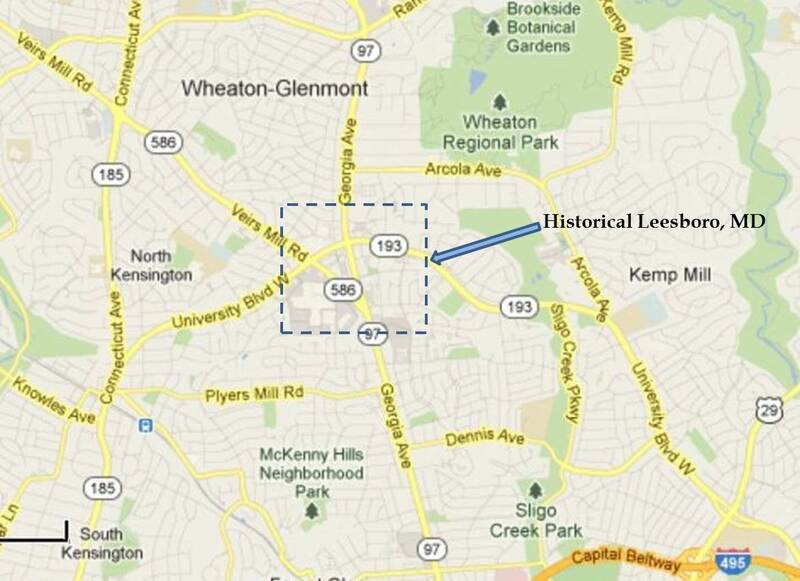 [i] Leesboro is the modern-day unincorporated town of Wheaton. Leesboro or Leesborough received its name in 1826 and served as a hub for business that naturally developed near the junction of three major roads. Modern Maryland Route 97 was known as the Brookeville Pike or the Washington-Brookeville Pike and ran from Washington to Brookeville, Maryland and then to Baltimore. The Old Bladensburg Road was the second major route through Leesboro now known as Maryland Route 193, University Boulevard connecting the cities of Bethesda, Chevy Chase, Georgetown and Bladensburg. The last route was Veirs Mill Road, Maryland Route 586. During the Civil War it was known as the New Cut Road and ran from the sawmill of Samuel Veirs on Rock Creek to Rockville and then across the Potomac River into Virginia. As the army moves out of Washington, McClellan has reorganized the Army of the Potomac for the Maryland Campaign with General Burnside being named as the Right Wing commander with the II and IX Corps subordinate to him. The 8th CVI remains as part of Harland’s Brigade which is assigned to the Third Division of the IX Corps with Isaac P. Rodman as the Division commander. Isaac Peace Rodman was a Rhode Island Quaker born to Samuel Rodman and Mary Peckham in South Kingstown on August 18, 1822. As an adult, he married Sally Arnold, the daughter of the Rhode Island Governor Lemuel Arnold and went into business with his brother and his father. Rodman worked as a banker and entered the political arena serving as a town councilman and as a state representative and senator. Interestingly, he was a strong Quaker serving as both a Bible teacher and superintendent of the Sunday School. With the arrival of the Civil War, Rodman found himself caught in a conundrum between the Quaker pacifist teachings and his patriotic devotion to preserving the Union. However, he quickly resolved this conflict and raised a company of men for the 2nd Rhode Island Infantry going on to serve as the captain. After intense fighting at the First Battle of Bull Run which claimed the life of the regimental commander, the 3-month unit was deactivated. Rodman was soon appointed as the colonel of the newly formed 4th Rhode Island with Burnside’s expeditionary force where he fought in the campaign on the North Carolina coast in the first half of 1862. Rodman quickly rose to brigade command with a promotion to General. 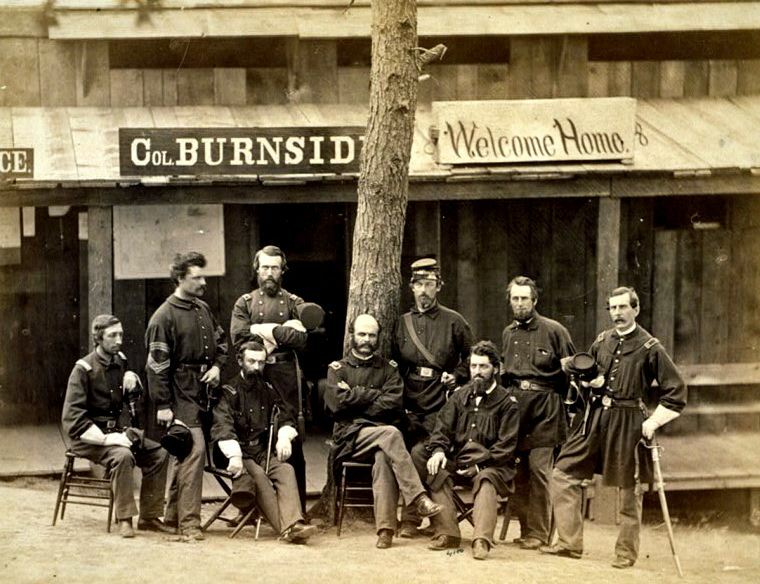 After recovering at home in Rhode Island from a bout of typhoid fever, he returned to assume command of the Third Division of the IX Corps at the beginning of the Maryland Campaign. Oliver’s two older brothers, Ariel and Alonzo are members of the 16th CVI. It can be safely assumed that Oliver is aware that his brothers are in the 16th because the 8th had received mail four days earlier while in Washington. 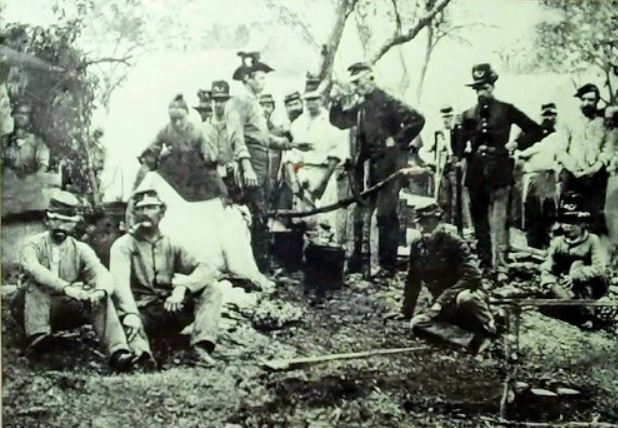 In his last available letter written on August 7, 1862 while in Fredericksburg, Oliver gives no indication that he is aware of his brothers’ decision to join. No matter his awareness of his brothers decision, Oliver will soon have a physical reunion with both of them. [ii] Croffut and Morris, 1868. ← September 6, 1862 – Washington, D.C.